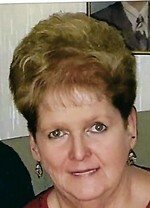 Jean Bosco Obituary - Scranton, Pennsylvania | Solfanelli-Fiorillo Funeral Home Inc.
Jean Ellen Bosco, 72, of Scranton, passed away Wednesday, January 23, 2019, at the Lindwood Nursing & Rehabilitation Center after her brave journey with cancer. Married for almost 34 years, she was the widow of Louis J. Bosco, who passed August 15, 2004. Born in Scranton, youngest child of the late Kelsey and Mary McCormick Cleveland, Jean was a 1966 graduate of Scranton Technical HS. She was employed almost 31 years at Haddon Craftsmen before its closure in 1997. She was also employed at Penn Foster, formerly ICS, for over 17 years prior to her retirement. She was a former member of St. Ann’s Basilica and a current member of Mary Mother of God Parish (Holy Rosary), Scranton. A loving daughter, sister, mother and aunt, Jean enjoyed music and loved watching Lifetime, TCM & Hallmark channels along with Game Show Network, particularly Family Feud. She also loved a good horror movie and had a passion for decorating for every holiday. In addition, she enjoyed playing dominos with her friends the “Pip Squeaks”. She would tell you her biggest joy was her only child Tina Marie. She was the absolute best baton twirling mom, never missing a competition, parade, performance, half-time show, or recital Tina was a part of. She took pride in making sure her costumes were in tip-top shape, sneakers were spotless, dresses were pressed and baton ends were immaculate; always wanting her not only to look her best but to always try her best. In addition to her daughter Tina Marie and her husband Douglas Nardella, Moscow, she is survived by her three sisters: Audrey Kersavage, Scranton; Margaret Valese, Dunmore and Ann Morgan, Scranton and several nieces, nephews and cousins. Besides her parents and husband, she was preceded in death by her only brother, Charles Kelsey Cleveland, her brothers and sisters-in-law and a great-nephew. The family would like to thank the staff at Hospice of the Sacred Heart and Linwood Nursing Center for the outstanding care and kindness they provided. The funeral will be Monday from the Solfanelli-Fiorillo Funeral Home Inc., 1030 N. Main Ave., with Mass of Christian Burial at 9:30 a.m. in Mary, Mother of God Parish at Holy Rosary Church, 316 William St. Interment Cathedral Cemetery. Everyone attending the Funeral Mass is kindly asked to proceed directly to church. Family and friends may call Sunday from 2 – 4 p.m. In lieu of flowers, memorial donations can be made to the Vasculitis Foundation, PO Box 28660, Kansas City, MO 64188, Hospice of the Sacred Heart, 100 William St, Dunmore, PA 18510 or to a charity of the donor’s choice.